The official gift of the 9th wedding anniversary. Is that not correct? Pottery? No, I’m fairly certain I’m right about this. 9 years. 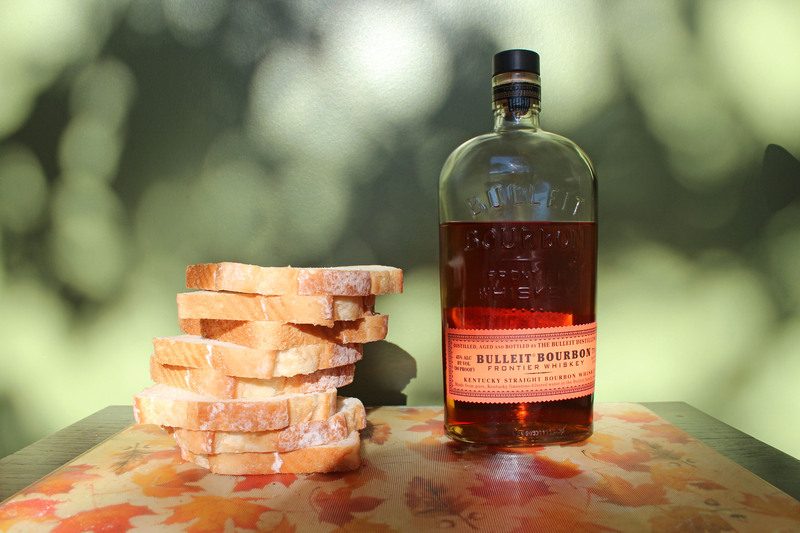 Bread and bourbon. We can agree to disagree all day so I might as well move this story right along. 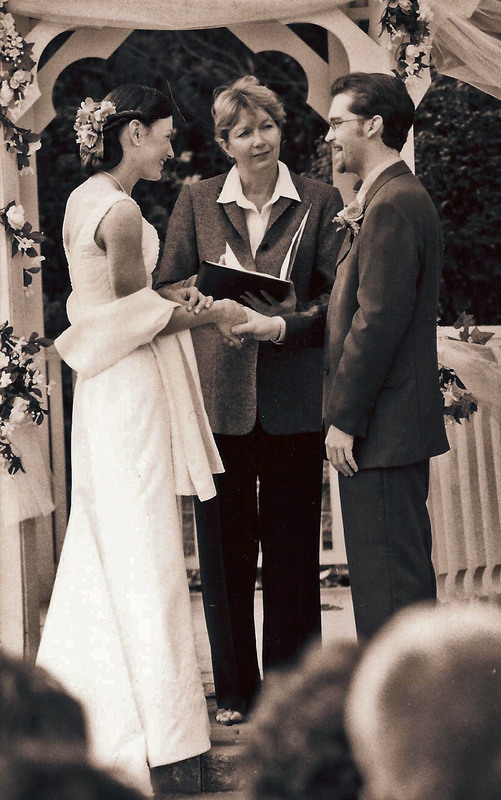 If you didn’t catch on yet, my husband and I recently had are ninth wedding anniversary. Go us! It’s amazing how long ago it seems and yet I feel it went flying by. No one makes me smile, laugh or feel like I’m home no matter were I am as Adam does. He’s the bee’s knees and I think I’ll keep him. Oh, look at those two kids. So in love. So uncomfortable being the center of attention. So awesome. Some things never change. 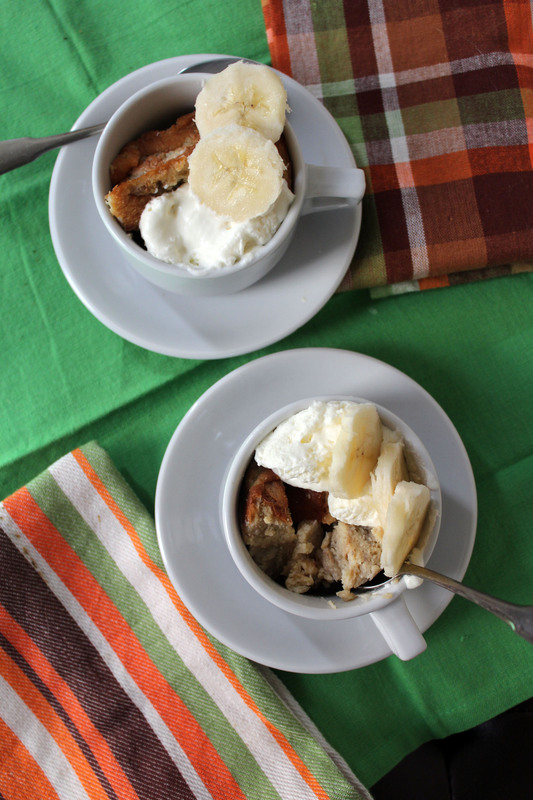 So in honor of our 9th I made us a little Banana Bourbon Bread Pudding from the Joy the Baker Cookbook. It was just right. Comforting with a kick of bourbon. I think you should make it too and toast to us. Or toast whatever you would like, I’m not trying to tell you what to do! Get your bread and banana! Mix and wait. Boo! Put it in the oven and eat. Yay! 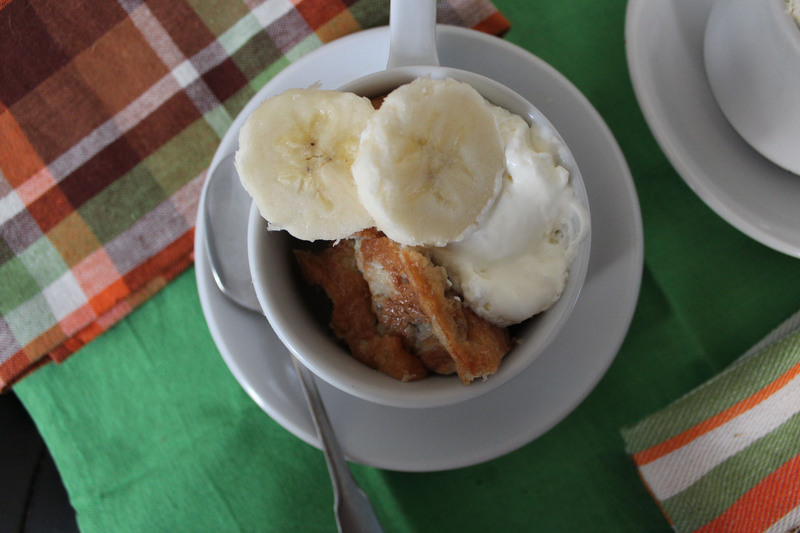 Serve it with whipped cream (or ice cream!) and bananas and toast the one you love! Preheat oven 350 degrees. Butter an 8 inch square baking dish, set aside. Tear bread into chunks and place in prepared baking dish. 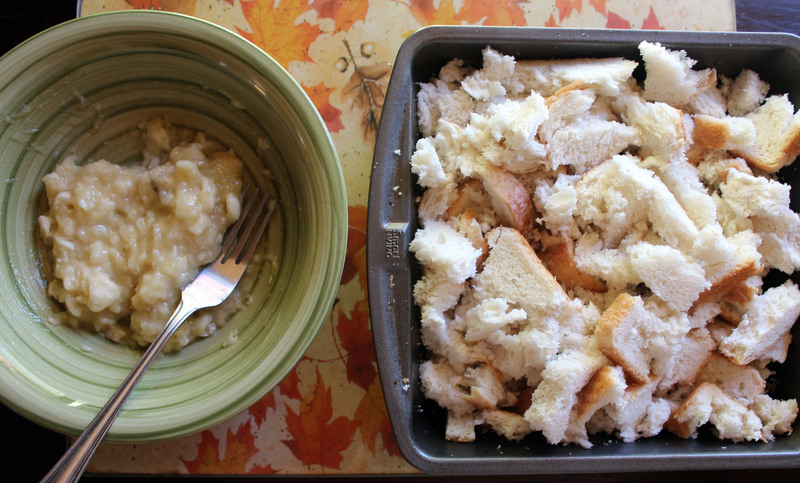 Add mashed banana and incorporate among the torn bread. Mash until banana is evenly distributed. In a saucepan over low heat, combine milk, sugar and salt. Stir until the sugar is dissolved and the milk is warm. Remove from heat and let cool slightly. 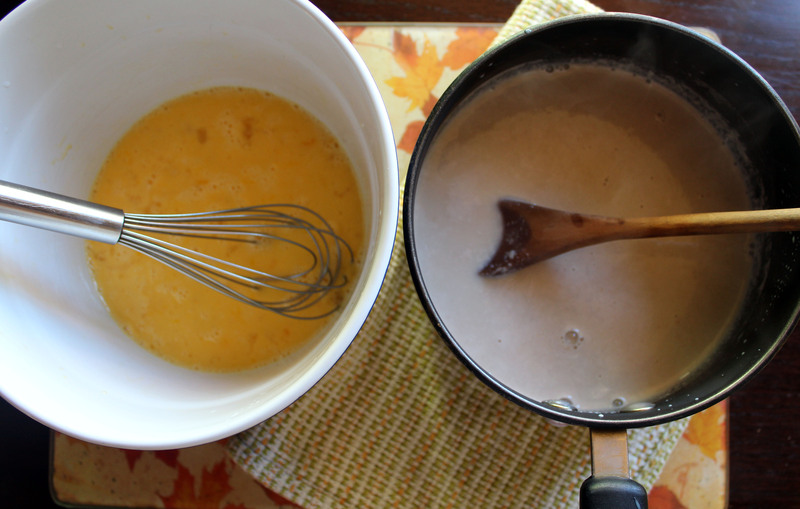 In a medium bowl, whisk eggs. While whisking drizzle in warm milk mixture. Whisk until it is all incorporated. Stir in Bourbon and vanilla. Pour milk mixture over torn bread. Press bread into liquid so that all of the bread is moistened. 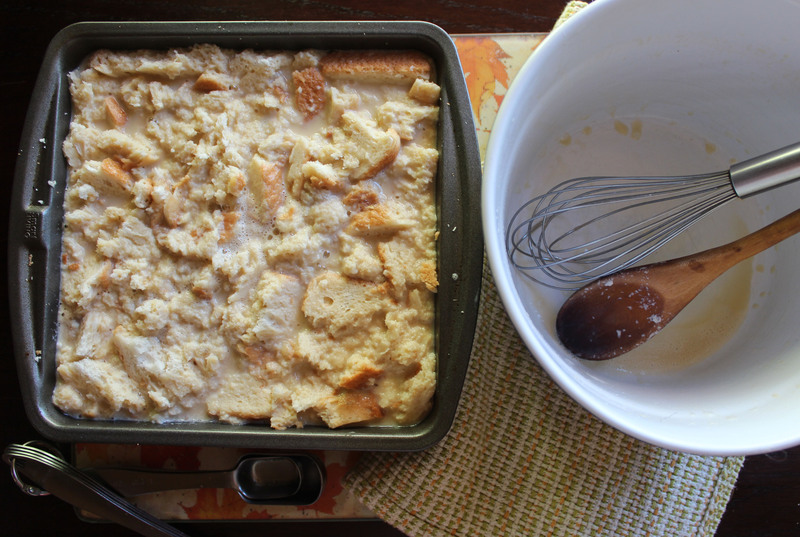 Let the mixture rest for 10 minutes before baking. Bake for 25 to 35 minutes or until it is browned and not too liquid but the bread is still somewhat moist. Remove from oven and let cool for at least 20 minutes before serving. 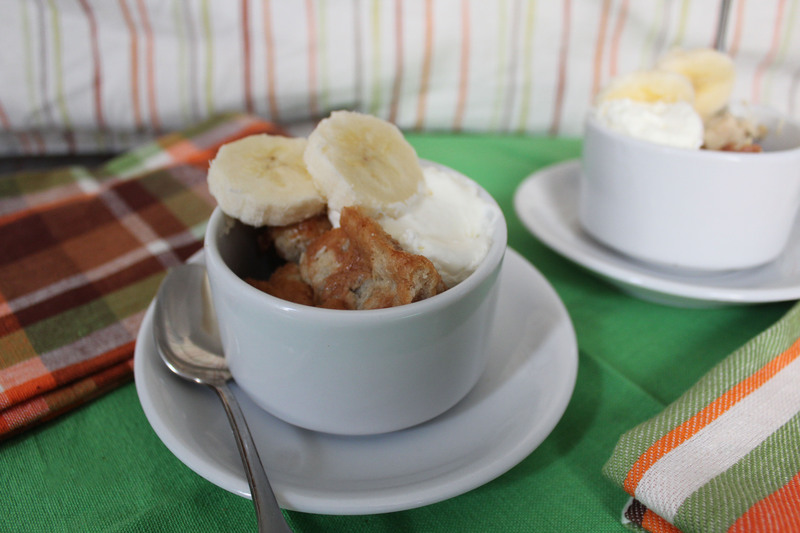 Top with whipped cream and banana slices or ice cream and banana slices, yum! Enjoy!